Moscow: Israeli Prime Minister Benjamin Netanyahu was to meet Russian leader Vladimir Putin in Moscow on Monday as Israel frets over a Russian military buildup in war-torn Syria. Netanyahu is accompanied by his army and intelligence chiefs in a rare step for an overseas visit, underlining its strategic importance. In a statement last week announcing the talks, Netanyahu’s office said the Israeli leader would speak about “the deployment of Russian military forces in Syria”. “He will describe the threats to Israel following the military reinforcement in the Syrian arena and the supply of weapons to Hezbollah and other terrorist organisations,” the statement said. Reports in the Israeli press said that the visit’s aim was to avoid any possible clashes between Israeli and Russian jets that could operate over Syria. Israeli military officials reportedly fear that any Russian air presence could cut their room for maneuvre after several purported strikes on Iranian arms transfers to Hezbollah through Syria in recent months that were not officially acknowledged by Israeli authorities. Netanyahu is set to fly to the United States for talks with President Barack Obama in November in a bid to ease tensions over the Iran deal between the two long-standing allies. 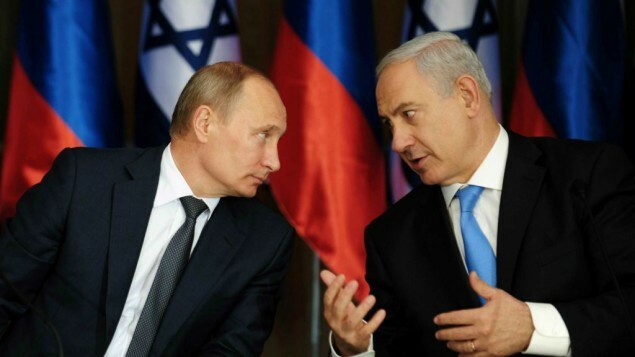 Netanyahu and Putin will also discuss the lack of progress in the peace process between Israel and the Palestinians, the Kremlin said, with Palestinian president Mahmud Abbas set to meet Putin in Moscow on Wednesday. Amman: Rebels who have inflicted big losses on Syrian President Bashar Al Assad say Russia’s intervention in support of its ally will only lead to an escalation of the war and may encourage the rebels’ Gulf Arab backers to pour in more military aid. Russia’s deployment is prompting a reassessment of the conflict among insurgents whose advances in western Syria in recent months may have been the catalyst for Russia’s decision. US officials say Russian forces are already arriving. Rebels interviewed by Reuters say they have already encountered stronger government resistance in those areas - notably the coastal heartland of Al Assad’s Alawite sect - and now predict an even tougher war with Russian involvement. Some see an opportunity in the Russian deployment, predicting more military aid from states such as Saudi Arabia. That signals one of the risks of Russian involvement: a spiral of deepening foreign interference in a conflict already complicated by a regional struggle between Saudi Arabia and Iran. Hoping to galvanise more support, rebels are evoking the Soviet failure in Afghanistan as a model for their struggle, and depicting Russia as a new occupier. But they also say this means the war, already in its fifth year, will go on even longer. “It is in our calculations that the battle will now extend for more years than it would have without the Russians,” said Abu Yousuf Al Mouhajer, a rebel fighting in the Latakia area where Russian forces have deployed at an airfield. “The Russian intervention has come to save the regime,” said the fighter with the Ahrar Al Sham group, part of an alliance that has advanced in the Al Assad-held west. Like other rebels interviewed for this article, he spoke via the internet. US officials say Russia is undertaking a significant military buildup at the airfield, including fighter jets, helicopter gunships, artillery and as many as 500 naval infantry. While Russia has not been specific about its goals - saying its support for Damascus aims to fight terrorism - rebels in the west believe their area of operations is the priority because it poses the biggest immediate risk to Al Assad. Russia operates its only naval facility on the Mediterranean in the Syrian city of Tartous near Latakia. Daesh, while a growing danger, is seen as a lesser threat to Al Assad for now, though it also seems likely to be hit. 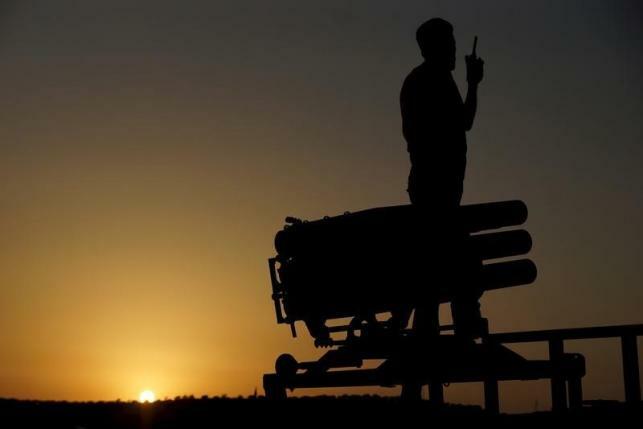 The insurgents fighting near the coast include Al Nusra Front, Al Qaida’s Syrian wing, 30 percent of whose fighters are foreign fighters inspired by the aim of battling the Alawite-led government. They include Russians, Asians and Chechens, Al Nusra Front leader said in an interview earlier this year. Moscow has said its military support for Damascus is aimed at fighting terrorism, safeguarding Syria’s statehood and preventing a “total catastrophe” in the region. It has sent greater quantities and new types of weapons to a Syrian army which has been suffering a manpower problem. The support adds to the foreign backing Al Assad has already received from Iran and Lebanon’s Hezbollah, which has been fighting alongside the army for several years. Iran has mobilised Iraqi and Afghani militias to support the government. The rebels, better armed and organised, have challenged Al Assad like never before in both the northwest and southwest this year, with support from governments including Turkey, Qatar and Saudi Arabia. They all want Al Assad gone from power. Recent gains have brought the rebels into the Ghab Plain, just east of the Alawite mountains that overlook the coast. Rebels there report tougher resistance from government troops even before the news of the Russian deployment. “Today we have a new type of soldier that is fighting us with more ferociousness and professionalism,” said Al Mouhajer. “The battle has changed: it’s now in their Alawite home.” Another rebel said: “The more progress we make towards the coast, the more ferocious they are in battle.” Some fighters say there is no sign of increased Russian support yet. Others report more accurate air strikes and the appearance of new types of armoured vehicles. A Syrian military source told Reuters last week the army has started using new types of weapons supplied by Russia. “The information we have is that Russia has taken on the task of protecting the coast and it is leading the battles we are now fighting near Joreen,” said a Nusra Front commander who was using his nom de guerre, Abu Anas Al Lathkani. Joreen is a government-held town overlooking the Ghab Plain, and home to an army base. “The Russian presence will change the nature of the battle. The pace of our advances will become slightly more difficult,” Al Lathkani said. Damascus, an ally of Moscow since Soviet times, says it will request Russian troops to fight alongside its own if the need arises. It has denied the presence of Russian combat troops on the ground now. But Lebanese sources familiar with the political and military situation have said Russians have already taken part in military operations. There are already signs of a rebel response. Jaish Al Islam, one of the bigger rebel groups, has posted a video said to show a missile attack on the Latakia airfield being used by the Russians. Jaish Al Islam, widely believed to be Saudi-backed, has also launched new attacks near Damascus. Other rebels have escalated attacks in Idlib province and in Aleppo. Another rebel said the Russians risked “another Afghanistan where they would be sending troops who would return in coffins”. US and Saudi support was crucial to the success of Afghani insurgents - the Mujahideen - against the Soviets in the 1980s. But the United States, while supplying limited military support to some rebels, has shied away from larger backing for reasons including fears that weapons will go to extremists. Notably, requests for anti-aircraft missiles have been denied. Notwithstanding US caution, some rebels believe backers such as Saudi Arabia will be forced to increase their support. “A serious Russian intervention in Syria - beyond the reports we are hearing - will represent a continuation of the struggle,” said Abu Ghiath Al Shami, spokesman for Alwiyat Seif Al Sham, a “Free Syrian Army” rebel group in southern Syria. Is peace in the region a zero sum game? Dubai: Since the formation of the modern Middle East after the end of the Second World War, there has hardly been a time when peace and stability have prevailed across the region. The emergence of Israel in 1948 and the Nakba that followed; the Arab-Israeli wars of 1967 and 1973; the Islamic Revolution in Iran in 1979; the Iran-Iraq war of the 1980s; the Gulf War in the early 1990s; the 2003 US-led invasion of Iraq — the list is long and blood-soaked. But with the promise of the 2011 ‘Arab Spring’ giving way to the chaos and shocking violence we see on our TV screens today, things have reached a new low. There is, it appears, no mechanism for ending violence through dialogue between regional and global powers. Have war and peace in the Middle East become a zero sum game? So what is the single biggest reason for the continuous state of flux that has existed in the region for the past few decades? “It is difficult to identify a single reason. The most proximate driver is the collapse of older forms of authoritarian rule and the collapse of the balance of power between various political, social and regional forces. However, a deeper reading of the situation would have to take account of the cumulative factors that emerge from a near century’s-worth of failed state and nation building in places like Iraq, Syria and elsewhere,” Haddad said.